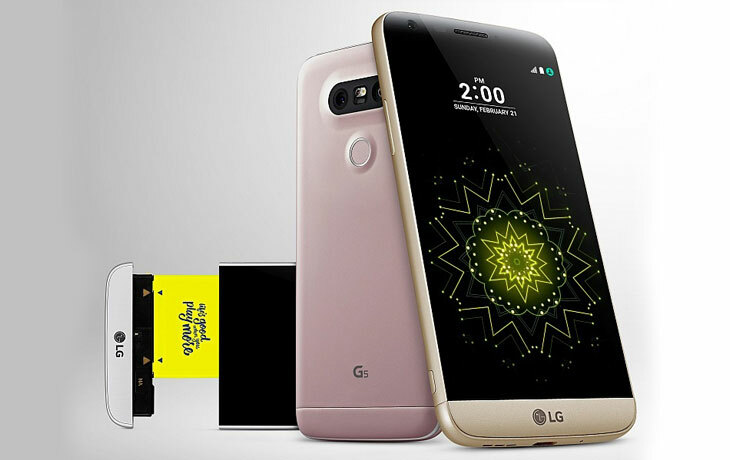 The Company, Life’s Good ‘LG’ announced that the new innovative LG G5 is available in stores of South Korea on March 31, and this compatible smartphone will be released on April 1 in the USA, and it has launched in all other countries by this quarter or next. From one of the promotional banner image shows the price of this smartphone as $99.99. But on the online retailer in the UK offered this LG G5 for 529 Euro. However, the company has not announced their official price. And the Company proceeding their pre-order campaign for this smartphone, LG G5. Whereas, the company offers free second battery and charging cradle for those who are pre-ordered. Amazon Germany will start their selling of flagship in the middle of the month. The Company also offer a free Cam Plus grip. The phone costs in Germany €700, and the Cam Plus grip alone is €100, but you can buy this Cam Plus Grip as Free by using the code “LGG5AKTION,” This deal is only valid for orders on Amazon Germany until April 16, 2016. This smartphone got positive critics from all over the world because of the innovative removable battery and modular design. This smartphone was introduced at the Mobile World Congress in last month. It contains lots and lots of unique and new feature as we didn’t saw and here about like this before. Let see about this smartphone’s features and specifications on following. An another new technology implemented on display, it is always-on display for check the time, notifications and battery status. It is manufactured with the 4GB of RAM and the internal memory as 32GB with the 2000GB expandable memory via microSD card. The company took the particular focus on the camera technology and gave us an extraordinary lens with the 78-degree and 135-degree wide angle lens. One is 16-megapixel, and another one is 8-megapixel. It is the first mobile phone which consists two rear cameras with flash. On front side camera, it has good viewable 8-megapixel. The Inbuilt Operating System on this mobile is the new arrival of Android 6.0 Marshmallow. The manufacturer didn’t forget to design the battery on 2800mAh with Quick charging 3.0 technology. Some of ours give importance to the appearance of the mobile phone to enhance our personality. The Company will release the handset with 4 colors such as Silver, Gold, Pink, and Titan. In addition, One of South Korean technology conglomerate presents two modules for the LG G5 to enhance the camera experience with the Cam Plus. It allows the user to use as a DSLR which has an option to autofocus, exposure lock, buttons for shutter and power. And Separate modules for audio and videos. Such as the Hi-Fi Plus with B&O Play module for to enhance the Audio and LG 360 VR for to watch the videos, it will give you a tremendous experience as viewing on 130-inch TV from two meters away. Also, the company introduced their own Camera for 360-degree and it is called as LG 360 Cam. By using this, we can shoot videos and images and uploaded it Google Street View and YouTube360. You can check the YouTube360, which contains more and more creative contents, especially for Evil short films. Apart from all this thing, the company also provide LG Rolling Bot, LG Tone Platinum, H3 by B&O Play, LG Smart Controller, and LG Friends Manager. LG G5 will available from next quarter of the year for other Countries/Areas such as in Australia, in Canada, in Dubai, in Hong kong, in India, in Ireland, in Pakistan, in Indonesia, in Japan, in Jordan, in Malaysia, in Bangladesh, in Singapore, and in South Africa. The LG G5 comes with LG 360 VR, LG 360 Cam, LG Rolling Bot, LG Tone Platinum, H3 by B&O Play, LG Smart Controller, and LG Friends Manager. It makes another era for Smartphone manufacturer.